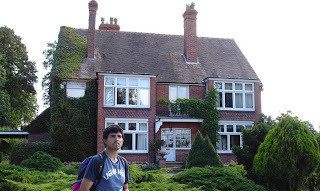 I just arrived from León when I set off on a new journey, this time to the beautiful England, paid by a grant from the Spanish government that I had won to spend three weeks in an English-speaking country studying English. After sometime looking up the Internet, my favourite places to go were Canada and the States. However the travel expenses were too high to be covered by my grant and it required some additional documents, like a visa, etc. So eventually, I settled on a closer and easy-to-reach place, Oxford, the place were the most famous english dictionary was born. I took a Ryanair low cost flight to London Stansted departing from Santander. As I was going to be unable to make it to Oxford at a reasonable hour I decided to spend that night in a hostel, at Picadilly Circus. From Stansted I took a coach to Victoria Station, and then I walked all the way to Picadilly Backpackers hostel where I left my luggage and rushed out for a Spaniards meeting that I had found out thanks to Internet. At the meeting I got to know a lot of people and after some chat we went out to the Soho area. 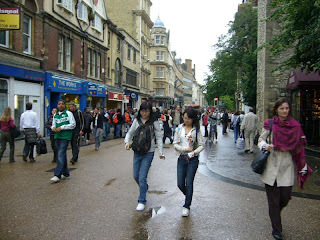 There, I could see very interesting people of all kinds, it was full of life!. 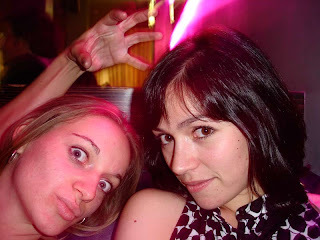 The last nightclub we went to was called Pepe's (although there was no sign at the entrance) and it was horrible. It looked like a cave full of smoke and spaniards and it was really hot inside. After that, I went back to Picadilly to have a short nap before leaving for Oxford. There are several coach companies servicing the route London-Oxford. I used the Oxford Tube and it ended up being a great decision as it was a really good bus that included a Wireless connection inside (Wifi->GPRS) and I was able to check out my e-mail through my PSP (playstation portable). 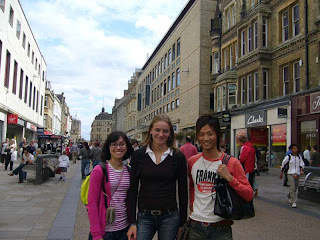 In Oxford, I got off at the bus station in the city centre and I walked towards my homestay family with a map in my hand. The walk was longer than what I expected (especially because I was carrying my luggage and I hadn't rested enough the night before). Eventually, I found the house, knocked the door and a lovely family gave me the welcome. I was very lucky because my family was very kind, they were native speakers and their home was very cozy. Heidi was the mother and she worked helping old people. Chris, the father, worked for a nearby shopping center and liked to play the keyboard. They had two children. James, who was six years old, was mad at trains and Benjamin, the youngest, was four years old and he wanted to be the driver of a local bus (the number five to be exact). My room was very nice and there were English books and dictionaries. The next day was my first class. When I arrived at the school I was given some forms to fill in and then the new students had to do a level test. While doing this test I started making my first friends in the school, a Japanese guy called Eichiro and a Chinese girl called Qin. I was placed in the post-intermediate class which was one level bellow the maximum and I was going to have two 1h 30min classes every. At the school, there were several social activities to do every day. 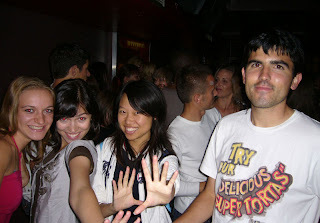 In my first week, the activities I participated in were: football, latino night at the Bridge nightclub (it was a nice nightclub with two floors, spanish music on the top floor), a tour in Oxford city watching the main buildings and a college, films with subtitles (Just friends), goodbye party at the Studio nightclub (I didn't like this nightclub). 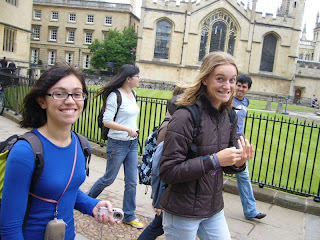 On Saturday, I went with my friends to London where I guided them to the most turistical parts. I decided to stay in London, instead of coming back to Oxford, to attend another Spaniards meeting like the previous Saturday. I also took the opportunity to see some shops in London's Oxford street, especially HMV (a big music shop). This time the meeting had fewer people but I enjoyed it more than the previous one. I learned a lot about the life in London from the talk that we had at Nanobyte, a pub in the Soho. Then we went out to a fine local especialized on music of the sixties (and fifties I think). There were some people dressed up like at those times and it was an interesting experience. My daily routine, basically, consisted of going to school and doing some of the social activities included in the School. At the school I used to go sometimes to the Library and the Listening room. 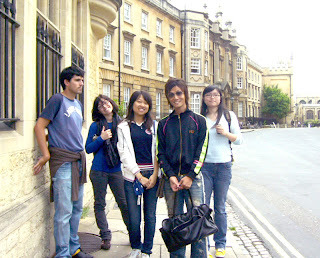 Other times I preferred to talk in English with my friends. On Wednesday, we went again to the Latino party at the Bridge, we made very nice pictures at the VIP room with Maëlle, a French girl and Sandra, from Galicia. That week, we had another party in a private club. This club was very interesting because it looked like those very private clubs you can read in English literature (Sherlock Holmes ;)). 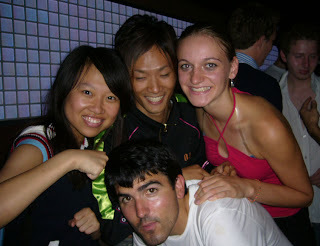 At the end, I played billiard with the French people. 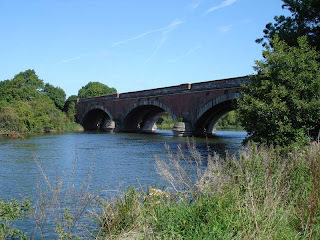 On Thursday, Eichiro, Maëlle, Andras and me went to do a nice walk from the school to the city centre through a beautiful footpath that went along the river. The day was sunny and we made good conversation. 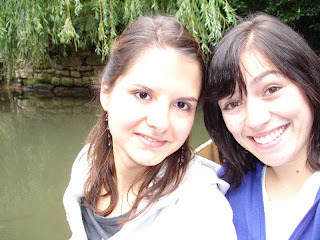 The next day, we went to do punting which is very typical from Oxford and Cambridge. I was afraid of falling off the boat to the river when I was rowling. 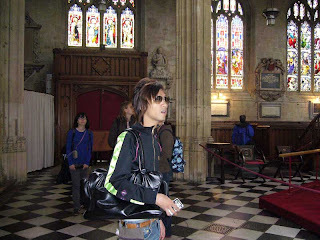 On Saturday, I went again to London. 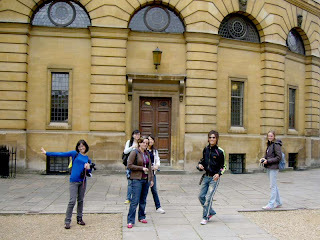 I visited some museums with Duygu, a Turkish girl, Andras, an Hungarian guy, Sandra and Paula, from France. 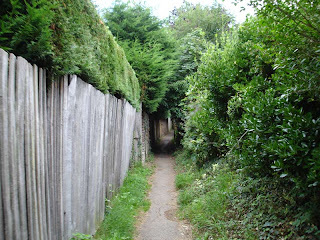 On Sunday, I did a short but lovely walk with Sandra following the Ridgeway, a very old path in the south of Oxford, from Goring to Wallingford. 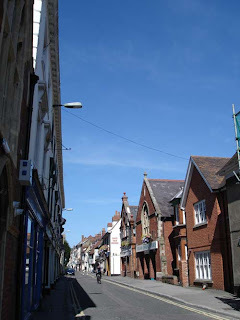 The walk was especially appropiate to see the beautiful countryside in England. 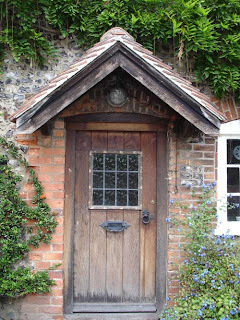 We enjoyed, at last, a very nice weather and we see beautiful cottages and gardens. I also found a pair of Ray Ban sunglasses that someone had forgotten. The last week was a bit boring because most of the studens had already gone back home. On Friday, we went to the O'Neills to say goodbye to everyone. O'Neills is a brand of Irish pubs that you can find in a lot of places (in London, I saw two of them in the Soho). You can have a drink, lunch or dinner there in it is very popular. I liked it especially because they have music in live. On the way back home, everything was smoothy. I took a coach from Oxford directly to Stansted. I met two Spanish sisters from Bilbao, Elena and Irene, that were returning home like me from a month learning the language of Shakespeare.